(Trent Nelson | The Salt Lake Tribune) Hardware Apartments, under construction in Salt Lake City on Monday Nov. 12, 2018. (Trent Nelson | The Salt Lake Tribune) Hardware Apartments, under construction in Salt Lake City on Monday Nov. 12, 2018. (Trent Nelson | The Salt Lake Tribune) Hardware Apartments, under construction in Salt Lake City on Monday Nov. 12, 2018. (Trent Nelson | The Salt Lake Tribune) Hardware Apartments, under construction in Salt Lake City on Monday Nov. 12, 2018. (Trent Nelson | The Salt Lake Tribune) Hardware Apartments, under construction in Salt Lake City on Monday Nov. 12, 2018. (Trent Nelson | The Salt Lake Tribune) Hardware Apartments, under construction in Salt Lake City on Monday Nov. 12, 2018. (Trent Nelson | The Salt Lake Tribune) Hardware Apartments, under construction in Salt Lake City on Monday Nov. 12, 2018. (Trent Nelson | The Salt Lake Tribune) Hardware Apartments, under construction in Salt Lake City on Monday Nov. 12, 2018. 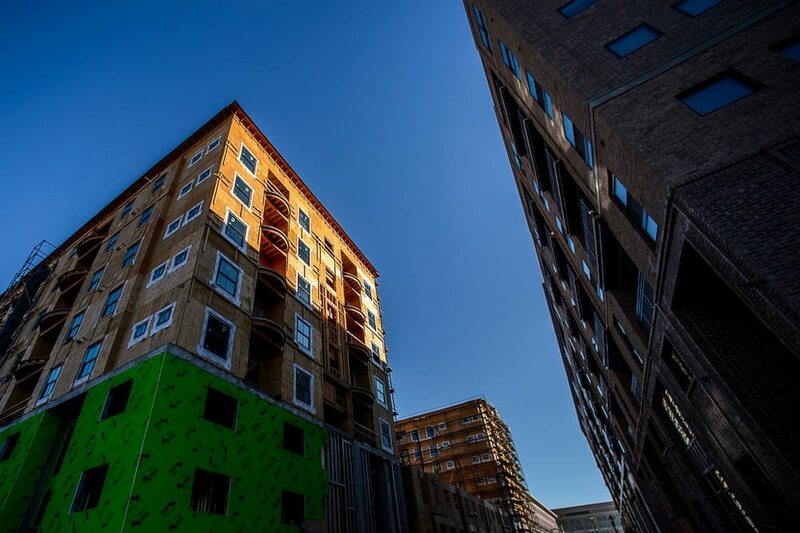 Thousands of new apartments are going up all across Salt Lake County, but demand remains at historic levels and that means the rents keep rising. Yet the combined trends of new residents moving to Utah, continued expansion of the state’s job markets and low unemployment have led to the tightest sustained market conditions for rental apartments in Salt Lake County’s history, said Kip Paul, vice chairman of investment sales with Cushman & Wakefield in Salt Lake City. “We just keep hanging in there at virtually no vacancy and rents keep going up 4 to 6 percent a year as construction continues,” Paul said Monday. Average rents rose 6 percent from 2017 to 2018 — at least the eighth consecutive year of gains. The average studio in Salt Lake County now costs $794 a month, while a two-bedroom, one-bath apartment goes for $983. Overall, average rental rates in the county went from an average of $720 a month in 2010 to $1,072 this year, the report found. 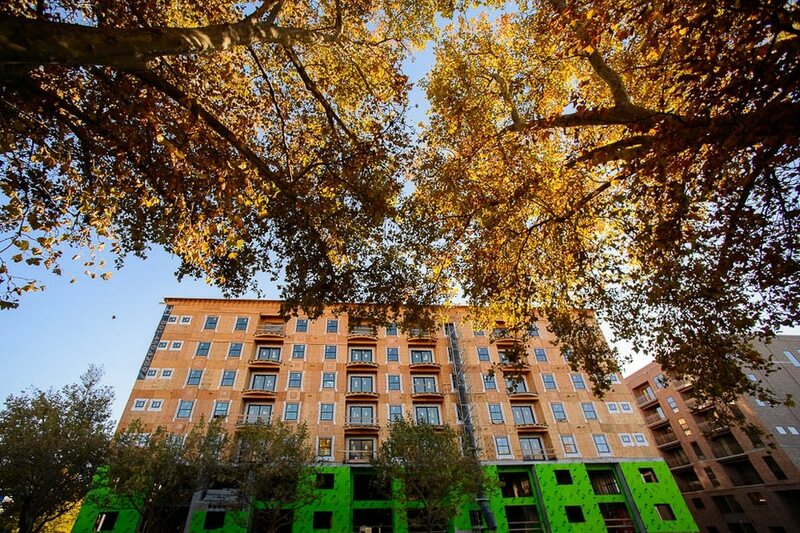 The report estimates that average rents have risen by about 40 percent since 2010. And they’re projected to keep going up by about 4.5 percent yearly over the next five years, analysts predict. Yet, in a separate study, Salt Lake City-based market researchers for Cushman & Wakefield found rents in Salt Lake County remain affordable relative to the size of its market and the incomes of its renters. In comparing median rents with median renter incomes, the study found residents of Salt Lake City spend about 32 percent of what they earn on housing, putting them within what advocates consider a sustainable range for rental costs relative to other budget demands. And that personal spending level compares favorably with 37.6 percent for Portland residents, 39.2 percent for Seattle residents and 40.3 percent for those living in Denver. For metropolitan areas such as New York, Los Angeles or San Francisco, by contrast, that ratio ranges from 54 percent to 78 percent of resident incomes, the analysts found. Housing advocates say Utah suffers from a lack of housing affordable at all income levels — whether apartments or single-family homes — but particularly for those making below-average wages. Officials with Salt Lake City, for example, say the area needs at least 7,500 rental units affordable to low-income renters making $20,000 yearly or less. Large numbers of residents in Utah’s capital pay more than a third of their earnings on housing, city officials say, forcing them in many cases to skimp on other crucial budget items and leaving them vulnerable to homelessness. 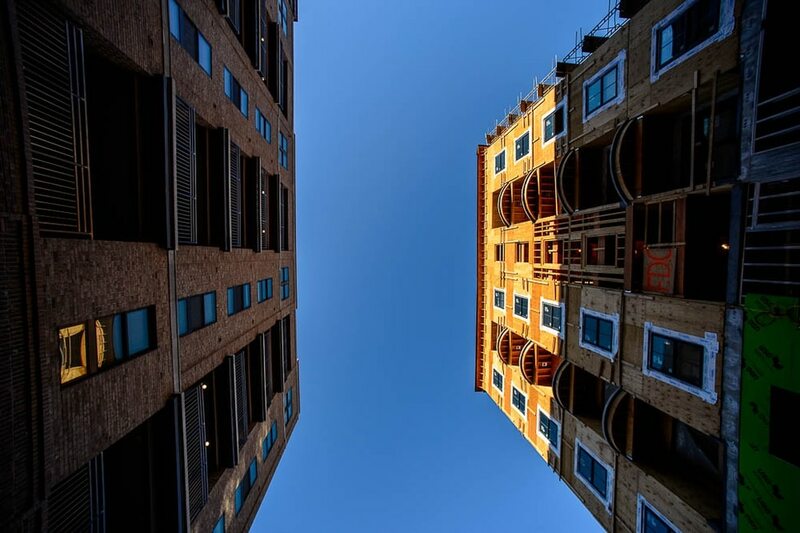 Polls show the issue is of growing concern to Utahns, and high-density housing is increasingly a flashpoint in many communities. Meanwhile, the boom in new apartment construction is being felt across Salt Lake County, from its downtown core to the suburbs. Since 2000, the county has added at least 28,370 renter-occupied dwellings, bringing the current total to about 119,914 rental units, which represents somewhere around a third of all the county’s dwellings, based on projections from the U.S. census. And while 4,200 of those new units were built in Salt Lake City, suburban communities also saw sizable gains in rentals over that same period, including West Jordan (4,522), Holladay (3,128), Murray (2,735), Sandy (2,518), West Valley City (2,427), South Jordan (1,676), Riverton (1,656), Midvale (1,629) and Draper (1,530). Of 21,150 market-rate apartment units built since 2000, the Cushman & Wakefield report found about 21 percent of those were in Salt Lake City, with heavy concentrations in the downtown area and Sugar House. Another 10 percent of those apartments went up in Sandy, South Jordan and West Jordan. The surge in apartment building in West Jordan led city leaders in 2013 to cap construction of attached housing, except in certain pockets of the city including near its six TRAX stations, according to Scott Langford, director of development services. Langford said the city’s so-called “cap and grade” ordinance limits apartments, duplexes and town homes to no more than 17 percent of total housing units in other neighborhoods, with the rest composed of single-family homes. He said, “They want to have a balance and a mixture of housing in the city, in the appropriate locations."